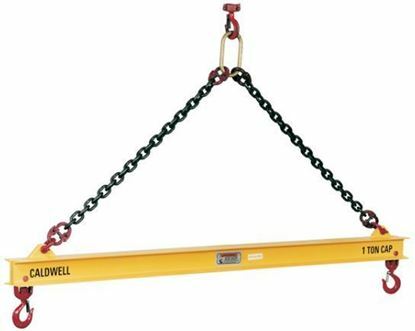 • ALL Lifting Beams proof loaded and shipped with certification paperwork.• Durable construction ideally suited to jobsite or ware-house use. • All dimensions in inches unless otherwise noted. • Quick and easy adjustment of unbalanced loads. • Ideally suited to low headroom applications. • Pictured with standard alloy swivel latch hooks.